The Social Justice Institute is a two day intensive training on participatory action research and mass incarceration. 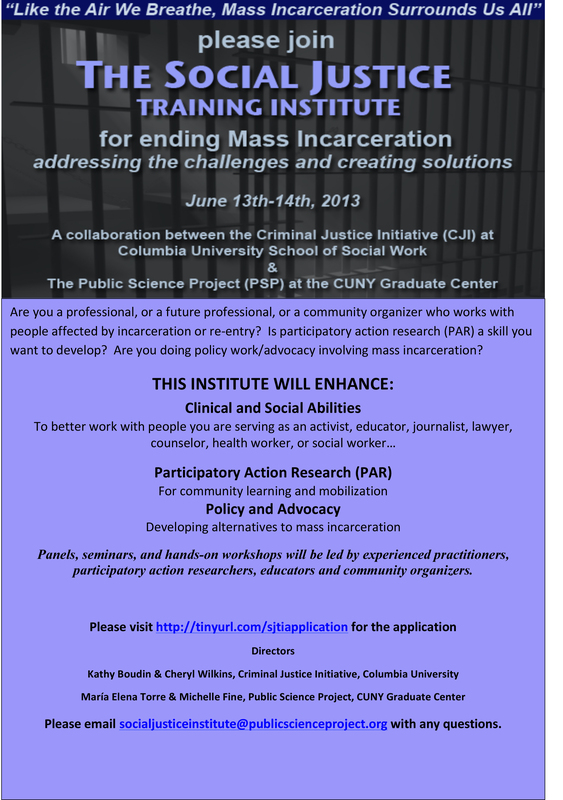 A collaboration between The Public Science Project and the Criminal Justice Initiative at Columbia University, the Institute is designed for those working with people affected by incarceration or re-entry, as well as community organizers, educators, researchers, journalists, lawyers, counselors, health workers, and social workers. Participants receive a certificate upon completion.